Im really not much of a fan of soaps, but over recent months I have been trying the odd one here and there, and have actually now started to develop a love for them. The brightside soap was part of the mothers day range 2016, this soap was a brand new Item to grace the shelves of lush this year. I do however feel that it may have also been suited to have been part of the Easter range mainly due to its bright colours and uplifting scent! 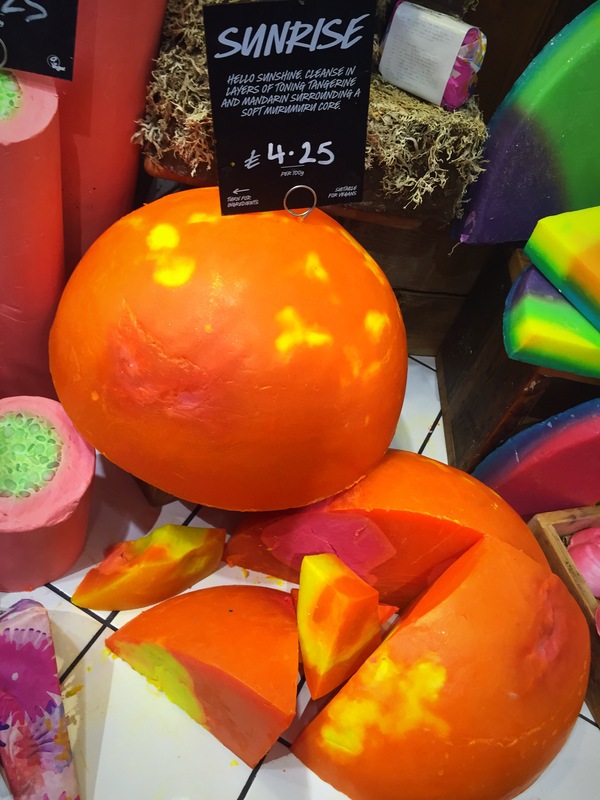 The sunrise soap is a stunning looking soap, in store these large blocks of soap but on a eye catching display. 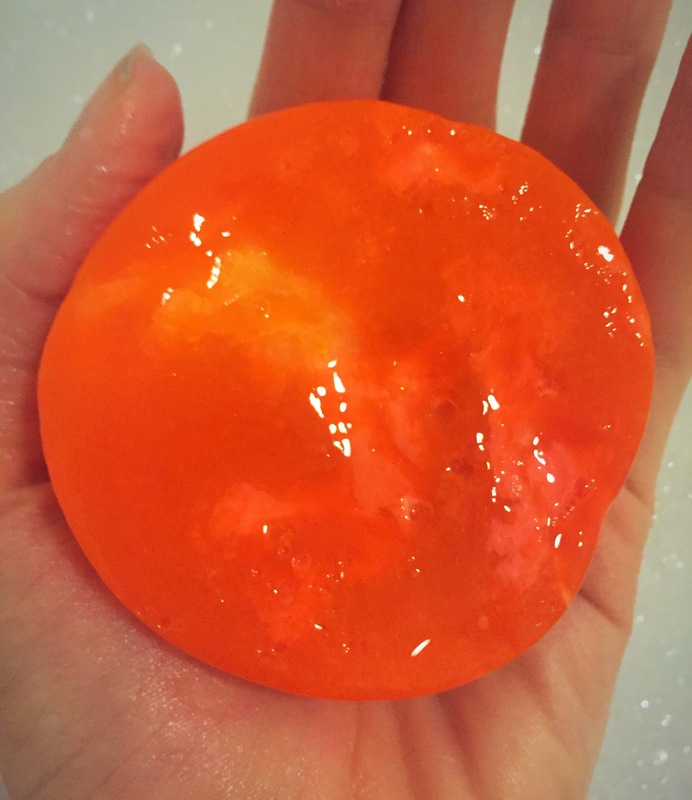 Shaped to look like a giant sun, the soap is a marbled array of yellows and orange colours and creates an almost intergalactic looking product. The large blocks of soap are then cut fresh in store to the size you require. I was really excited when I received my soap as part of a gift set and it was shaped like a miniture dome and looked like a little tiny sun. The sunrise soap is a very uplifting, refreshing and mood boosting product, this soap has a lovely zesty citrusy scent. 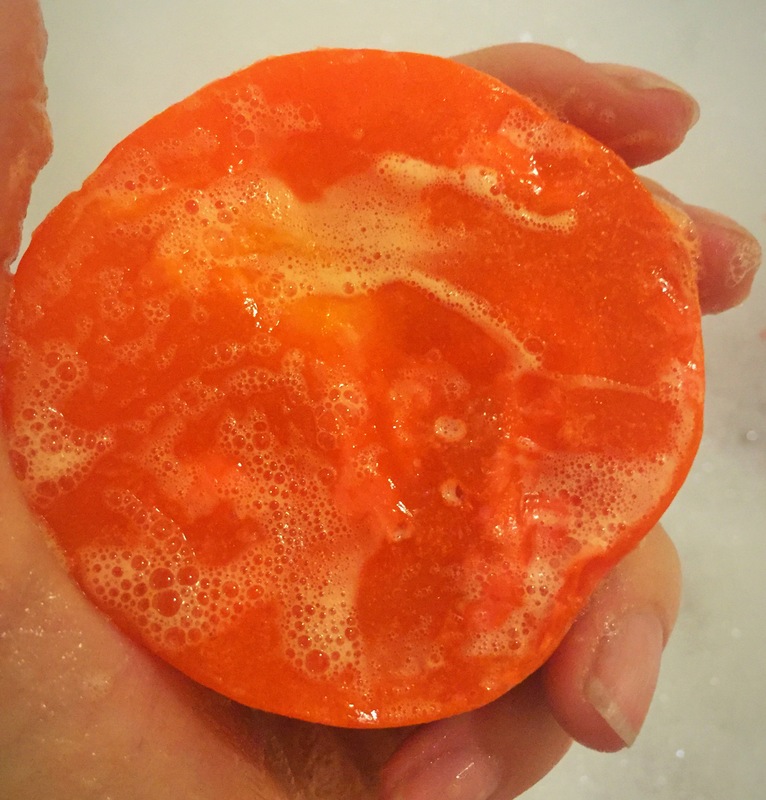 Being very similar in scent to the much loved Brightside bubble bar, this soap has a very strong zesty orange scent with a layer to sweetness, creating an allround gorgeous scent. This soap hosts and incredible array of oils including Sicilian Mandarin oil, Tangerine oil and Bergamot oil. These lovely oils help to create a very sweet, fresh, fruity uplifting scent. I personally think that this is one of my all time favourite types of scent that lush produce and I really enjoy how uplifting this scent is. It is defiantly a product to get you going in the morning and to help keep your refreshed on hot summers days. This soap has layers of Murumuru Butter and Organic Silken Tofu which makes this soap a lovely moisturising product. I normally find soaps to have a very drying effect on my skin. I however found that this soap was the complete opposite and my skin was left feeling very moisturised. Once water is added to the product, a thick lather is created very quickly. One slight downside is I did find that this product didn’t last as long as other soaps I have purchased in the past. But this could just be due to me using it a lot more regularly than I have done with other soaps. Overall I was really impressed with this product. 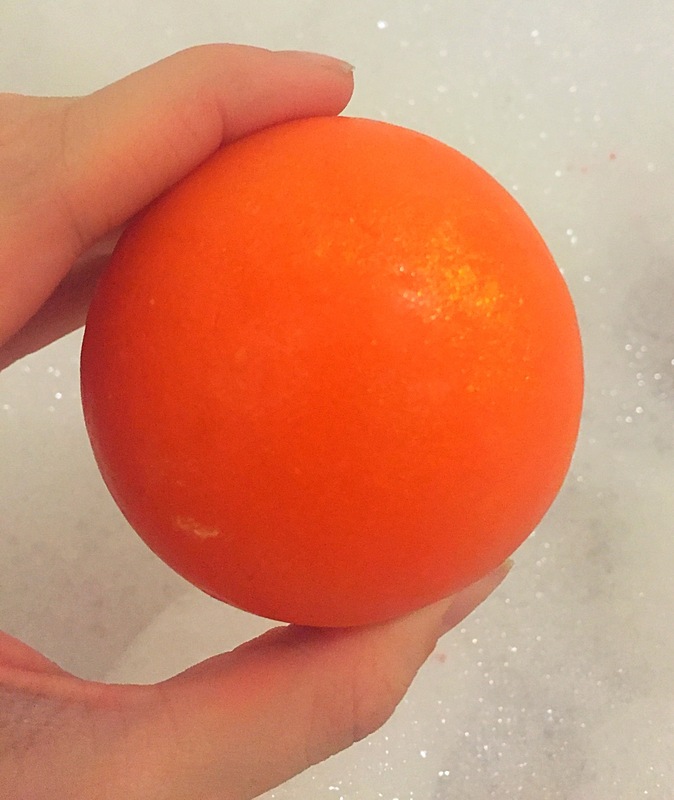 I really enjoyed the design and adored its zesty scent. I just with this was an all year round product. Ingredients – Water, Glycerine, Rapeseed Oil and Coconut Oil, Marigold petal infusion, Organic Silken Tofu, Limonene, Sorbitol, Murumuru Butter, Coconut Blossom, Nectar Perfume, Sicilian Mandarin Oil, Tangerine Oil, Bergamot Oil, Fresh Dove Orchid, Starflower Oil, Sodium Chloride, EDTA, Tetrasodium Etidronate, Sodium Hydroxide, Calcium Sodium Borosilicate, Titanium Dioxide, Tin Oxide, Linalool, Colour 45350, Colour 45410, Colour 17200.